Copyright: Copyright will remain with the photographer but is freely assigned to Spirit of Speyside Whisky Festival Ltd and Benromach Distillery for use within any publicity or other activities in connection with the event. Who can enter: Open to all photographers, worldwide. Abstract images of Speyside – textures, patterns, angles, colours; think the unusual and get creative! Seasons of Speyside – including castles, bridges, distilleries, landscapes, flora and fauna can all provide material for a photograph. The time of the year can have a dramatic effect; capture the icons of Speyside in all their seasonal splendour. People of Speyside – from farmers to distillers and craftspeople to performers (sport, art, creative etc), photograph the people who live, work and play in the area. Speyside around the World – from the bottled product, people, places and activities, the impact of Speyside can be felt around the world. Capture a little piece of Speyside on foreign shores. the Spirit of Speyside Whisky Festival Opening Dinner. 1st Abstract images of Speyside £100 plus a certificate and a bottle of Benromach Malt Whisky. 1st Seasons of Speyside £100 plus a certificate and a bottle of Benromach Malt Whisky. 1st People of Speyside £100 plus a certificate and a bottle of Benromach Malt Whisky. 1st Speyside around the world £100 plus a certificate (sorry we are unable to send alcohol overseas). 2nd Abstract images of Speyside £50 plus a certificate and a bottle of the Whisky Festival Blend of Speyside Malts. 2nd Seasons of Speyside £50 plus a certificate and a bottle the Whisky Festival Blend of Speyside Malts. 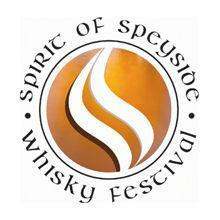 2nd People of Speyside £50 plus a certificate and a bottle of the Whisky Festival Blend of Speyside Malts. 2nd Speyside around the world £50 plus a certificate (sorry we are unable to send alcohol overseas). Exhibition: The top short-listed 20 mounted prints, as selected by the judges, will be framed and form a travelling exhibition used to promote the Benromach Distillery and the Spirit of Speyside Whisky Festival in 2014. Other locations may be organised. Photograph(s) for Category 1, 2 and 3 to be taken within the Greater Speyside Region (Nairn in the West, to MacDuff in the East, Tomintoul and Kingussie in the south including the Northern area of the Cairngorm National Park). All people depicted as a main subject, in any photo must be over 25 in accordance with government legislation associated with alcohol marketing. or on a CD – a minimum 300 dpi.